Cornerstone Cottage is a lovely cosy cottage in the idylic cotswold town of Chipping Campden. It is just a 5 minute walk from the stunning historic main street with plenty of pubs, restaurants, tea shops, and a variety of other local shops. 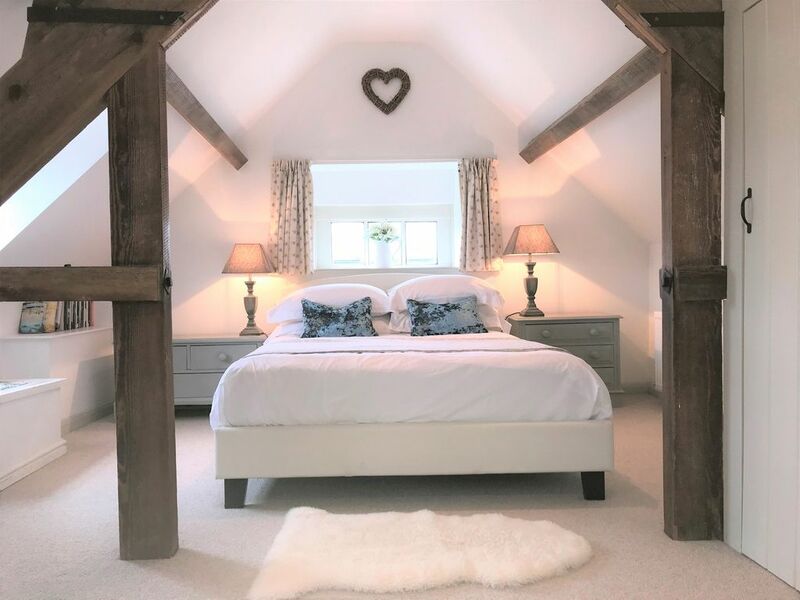 Cornerstone Cottage is a beautifully decorated cotswold cottage with a fitted kitchen, dining area looking out onto the cottage garden, a living room area with comfortable seating both sofa's and chairs. The bathroom with wc and a wet room style shower are located on the ground floor. There is a fully functional kitchen with gas hob, fridge, dishwasher, microwave and a tabletop oven. Upstairs to a lovely cosy bedroom where there are exposed beams and and a small dressing area with dressing table. Guests have exclusive use of the house and all internal areas. The garden is owned by the neighbours but there is access through the corner to the street or from a side gate to your car. Wet room style shower and WC. We had a wonderful stay at this adorable cottage in Chipping Campden. Hosts were delightful and interesting, loved chatting with them in the garden. We prepared a few meals in the kitchen and found it well-equipped. Cosy, quiet accommodations upstairs and nicely modernized bathroom. Thank you!